Merry Christmas! Thanks for listening to episode 71 of the Welding Tips and Tricks Podcast! Can you believe 2017 is already coming to an end? This past year has been really great. Filled with lots of surprises and major changes. For this episode we reviewed 2017 and compared it to what we had said we wanted to do this past year. We hope you enjoy this episode and also take a few minutes to reflect on your year! Hope it's been a great one. Be sure to download, pop those earbuds in, hit play, drop your hood, and enjoy! We also would like to take a moment and thank those who support the show on Patreon. Each Patron helps keep the show going and allows us to publish each and every week. If you would like to support the show, in any dollar amount, head over to www.patreon.com/weldingtipsandtrickspodcast. Everyone there is greatly appreciated. This months top supporters of the show are James Greer, Shane Gunnin, Rick Alotto, Erik Ruppel, James Yocum, Smith Industries, Mike Howe, Anthony Chrisomalis, Richard Black, Thor Gudmundsson, Scott Silva, Noe Sanjuan, WeldyMcWelds, and House of Chop. Hi and Thanks for listening to episode 70 of the Welding Tips and Tricks Podcast! For this episode we had a great time talking with Eric Plebani from Plebanibuilt. If you've been on Instagram looking at welding you've most likely seen Eric's custom welding hoods. Not speaking for everyone but we're sure we've all dreamed of a Boba Fett or Vader welding hood! Eric has made those come to life and makes us all jealous! We enjoyed hearing Eric's story of his racing past and what's to come with Plebanibuilt! So be sure to download, pop those earbuds in, hit play, drop your hood, and Enjoy! Where can you find Eric? Thanks for listening to episode 69 of the Welding Tips and Tricks Podcast! For this episode we had a great time talking with Brian Lambert aka Rollingbombfab. If you have been on Instagram looking at welds for any amount of time we guarantee you've seen Brian's amazing work. We talked about his past and how he started down the path of becoming a great welder. So be sure to download, pop those earbuds in, hit play, drop your hood, and Enjoy! Where can you find Brian? Hi and Thanks for listening to episode 68 of the Welding Tips and Tricks Podcast! All three of us get asked often about how to control distortion when it comes to welding so we figured it would be a good topic for us to dive into for this episode. This is a very deep topic so we only scratch the surface of it but hope that we give you a few tips to put in your mental toolbox to try the next time you have something new come across your bench! So be sure to hit download, pop those earbuds in, hit play, drop your hood, and Enjoy! Thanks for listening to episode 67 of the Welding Tips and Tricks Podcast! For this episode we had a great time chatting with Justin Mirrell also known as the.fabricator on Instagram. We touched on a lot of really great long with hearing Justin's story of how he became a Youtuber and a business owner. Be sure to download, pop those ear buds in, hit play, drop your hood, and Enjoy! We also would like to take a moment and thank those who support the show on Patreon. Each Patron helps keep the show going and allows us to publish each and every week. If you would like to support the show, in any dollar amount, head over to www.patreon.com/weldingtipsandtrickspodcast. Everyone there is greatly appreciated. This months top supporters of the show are James Greer, Shane Gunnin, Rick Alotto, Erik Ruppel, James Yocum, Mike Smith, Mike Howe, Anthony Chrisomalis, Richard Black, Thor Gudmundsson, Jacob Elder, Scott Silva, Noe Sanjuan, and House of Chop. Where can you find Justin? Hey Everyone! Thanks for listening to episode 66 of the Welding Tips and Tricks Podcast! For this episode we wanted to take some time and talk about welding Cast. We've all had our run ins with cast parts some good and some bad. So be sure to download, pop those earbuds in, hit play, drop your hood, and enjoy! Thanks for listening to episode 65 of the Welding Tips and Tricks Podcast! Last week was Fabtech! So we wanted to extend the great time we had there and talk about all the amazing people we met and the fun things we saw. It was just a great experience meeting everyone and having people stop us to say hello! Already can't wait till next year's show but first be sure to download, pop those earbuds in, hit play, drop your hood, and enjoy this years Fabtech Experence!! New music brought to you by Jody's son Jake! Thanks for listening to episode 64 of the Welding Tips and Tricks Podcast! Our guest for this episode is Niall Menzies. If you have never heard of Niall you should head over to Instagram @niallmenzies and give him a follow. We had a fun time talking about the different types of work Niall does focusing a bit on DC Aluminum. If you have ever wanted to try DC Aluminum you'll enjoy this one! So be sure to download, popin those earbuds, drop you hood, and Enjoy! We also would like to take a moment and thank those who support the show on Patreon. Each Patron helps keep the show going and allows us to publish each and every week. If you would like to support the show, in any dollar amount, head over to www.patreon.com/weldingtipsandtrickspodcast. Everyone there is greatly appreciated. This months top supporters of the show are James Greer, Shane Gunnin, Rick Alotto, Erik Ruppel, James Yocum, Mike Smith, Mike Howe, Anthony Chrisomalis, Richard Black, Thor Gudmundsson, Jacob Elder, Scott Silva, Noe Sanjuan, Alex Brown, and House of Chop. Where can you find Niall? Hi and Thank you for listening to episode 63 of the Welding Tips and Tricks Podcast. With Fabtech a week away we had to talk about it for this topic! We wanted to talk about if this is your first time attending Fabtech what to expect and some of the possibilities of different things you could walk away with. Also, chatted about what we are personally wanting to get out of this event. So be sure to download, pop those earbuds in, hit play, drop your hood, and enjoy! We also would like to take a moment and thank those who support the show on Patreon. Each Patron helps keep the show going and allows us to publish each and every week. If you would like to support the show, in any dollar amount, head over to www.patreon.com/weldingtipsandtrickspodcast. Everyone there is greatly appreciated. This months top supporters of the show are Steve Funk, Shane Gunnin, Rick Alotto, Erik Ruppel, James Yocum, Thor Gudmundsson, Jacob Elder, Scott Silva, Noe Sanjuan, Alex Brown, Dave Horvath, and House of Chop. Hi and Thank you for listening to episode 62 of the Welding Tips and Tricks Podcast! For this weeks guest we had a great time chatting with Thomas Patsis aka Cold Hard Art on Instagram. If you're on Instagram we're sure you have been awestruck from Tom's art. It was great to get to know Tom more and hear his story along the way. So be sure to download, pop those earbuds in, hit play, drop your hood, and enjoy! Where can you find Thomas? Hi and Thank you for listening to episode 61 of the Welding Tips and Tricks Podcast! With Jonathan stepping out on his own and wanting to build Superior Welding we thought it would be a great time to talk about Building Your Business. We are not experts in the field of market growth, but all three of us own a business, and each have ways and ideas to grow them how we see fit. Also, ideas from market experts that we have heard and are applying to our personal business. We had a good time talking about this and bouncing ideas off each other, hopefully you find some great takeaways from this episode! Be sure to download, pop those earbuds in, hit play, and Enjoy! Be sure to see links below in the show notes to mentioned items from this episode! Hi and Thank you for listening to episode 60 of the Welding Tips and Tricks Podcast! For this episode we thought it would be fun to talk about why we enjoy welding so much. If you're listening to a welding podcast then we're sure you're on the same page as us and will relate to a lot of things we chat about! We would really like to hear your reasons why you enjoy this great trade! Send us an email with your stories, but first be sure to download, pop your earbuds in, hit download, drop your hood, and Enjoy! Here is a link to the Overlap book by Sean Wes mentioned in this episode. At times it's a free audio download! Hi and Thank you for listening to episode 59 of the Welding Tips and Tricks Podcast! For this episode we thought it would be fun to talk about Bosses. We've all had good ones and bad ones so we thought it would be fun to tell some of our stories and see where it goes. Hope you enjoy it as much as we did recording it. So be sure to download, pop those earbuds in, hit play, drop your hood, and enjoy! We also would like to take a moment and thank those who support the show on Patreon. Each Patron helps keep the show going and allows us to publish each and every week. If you would like to support the show, in any dollar amount, head over to www.patreon.com/weldingtipsandtrickspodcast. Everyone there is greatly appreciated. This months top supporters of the show are Steve Funk, Shane Gunnin, Rick Alotto, Erik Ruppel, James, Yocum, Thor Gudmundsson, Jacob Elder, Scott Silva, Noe Sanjuan, and House of Chop. Hi and Thanks for listening to episode 58 of the Welding Tips and Tricks Podcast! If you're apart of the Welding Tips and Tricks Forum we're sure you have seen the name Welding Mike 27 aka Mick Seymour from Australia. We thought it would be a good time chatting with Mick to hear his story and also how things are done down under. We thought right! So be sure to download, pop those earbuds in, hit play, drop your hood, and enjoy! If you would like to become apart of the Forum be sure to check out the link below! Where can you reach Mick? Hi and Thank you for listening to the episode 57 of the Welding Tips and Tricks Podcast! We have been asked many times to have a topic episode about Pulse Mig so figured it's time! To help us with this topic we asked Alex Brown to join in and give us his two cents. We hope this episode will inspire you to go out to the shop and give Pulse Mig a go. Alex really lays it all out there with different settings and best times to use them. So be sure to download, pop those earbuds in, hit play, drop your hood, and enjoy! Hi and thank you for listening to episode 56 of the Welding Tips and Tricks Podcast. Our guest for this weeks episode is Phil Kaminski aka House.of.Chop on Instagram. As always we had a great time chatting with Phil hearing his new path into the welding world and also hearing about the family company him and his wife run. Phil dropped a few really good bombs in this episode to get you thinking and maybe change the way you watch things. Be sure to download, pop those earbuds in, hit play, drop your hood, and Enjoy! Where can you find Phil? Thanks for listening to episode 55 of the Welding Tips and Tricks Podcast! For this episode we thought it would be good to talk about Trouble Shooting! This is something that ever welder out there will come across, we know we sure have. So we chatted about some of things we've had to deal with along with what to do in a certain scenario. So be sure to download, pop those earbuds in, hit play, drop your hood, and Enjoy! We also would like to take a moment and thank those who support the show on Patreon. Each Patron helps keep the show going and allows us to publish each and every week. If you would like to support the show, in any dollar amount, head over to www.patreon.com/weldingtipsandtrickspodcast. Everyone there is greatly appreciated. This months top supporters of the show are Philip Kaminski, Scott Silva, Rick Alotto, Jacob Marple, Jacob Elder, Shane Gunnin, Dave Horvath. Thanks for listening to episode 54 of the Welding Tips and Tricks Podcast! Our guest for this episode is Frank Fleurquin. If you're not following Frank on Instagram you need to go right now and follow him! During Frank's day job he builds those awesome trophy trucks you watch racing through the deserts. So be sure to Download, pop those earbuds in, hit play, drop your hood, and enjoy hearing Franks drop some awesome tips! Thanks for listening to episode 53 of the Welding Tips and Tricks Podcast! For this episode we thought it would be fun to talk about Purge Welding. Jody had showed this in one of his recent videos welding a stainless manifold so we thought we'd continue the conversation. Purge welding can be a very easy way to improve the quality of your welds but if not done right can be a problem. This is a very deep subject that could go on for hours so we just touch on a few things that we hope will spark an interest into helping you improve or head down the road of purging. So be sure to download, pop those ear buds in, hit play, drop your hood, and enjoy! Thanks for listening to Episode 52 of the Welding Tips and Tricks Podcast! 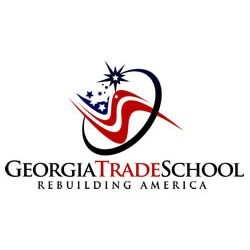 Jody had a chance to go over to Georgia Trade School and met up with Sidni Wafler who is the recruiting director so, we thought it would be fun to have her on to talk about her past as a recruiter for Ingalls Shipbuilding and her new roll at Georgia Trade School. She really gives some great insight to what companies are looking for and looking at when hiring new employees. We hope you enjoy listening to what it's like on the other side of the table during an interview. So if you're new to the trade you'll want to be listening very closely! Be sure to Download, Pop those Ear Buds in, Hit play, Drop your Hood and Enjoy! Thank you for listening to Episode 51 of the Welding Tips and Tricks Podcast! We had a fun time chatting with Nate Martin again for this topic of NDT or None Destructive Testing. As many of you know Nate just recently earned his CWI so we figured who best to have back on to talk about Welding Inspection. This episode has a lot of really great information that you might have never heard of before. It was a lot of fun to listen to Nate explain how things are done topside and underwater. We hope you enjoy this episode as much as we did so be sure to download, pop those earbuds in, hit play, drop your hood, and Enjoy! Where to get a hold of Nate? Thank you for listening to episode 50 of the Welding Tips and Tricks Podcast! Can you believe it we're on episode 50! We can hardly believe it, either. To celibate we thought it would be fun to chat about the podcast and touch on each of the guests we've had the privilege to talk with and get to know better. So if this is your first time listening it will be a great way hear a little about each guest and for our seasoned listeners it will be great to have a little look back! So be sure to download, pop those ear buds in, hit play, drop your hood, and Enjoy! Hi and Thank you for listening to episode 49 of the Welding Tips and Tricks Podcast. For our guest on this episode we chatted with Adam Booth or also known as Abom79 on YouTube and Instagram. If you don't know who Adam is you need to go check out his work. He is a manual machinist that works on some large lathe and mill parts. We know you'll enjoy this episode as much as we did! It's always great to hear the stories from other we watch on YouTube! So be sure to download, pop those ear buds in, hit play, drop your hood, and enjoy! Where can you find Adam? Hi and Thank you for listening to episode 48 of the Welding Tips and Tricks Podcast! For this episode we reached out to our Patreon page and asked them for some questions. We also invited Joel Bushmann back to weigh in on these questions, too. So be sure to download, pop those ear buds in, hit play, drop your hood, and Enjoy! Wishing everyone here in the USA a Happy and Safe 4th of July! Where you can find Joel? Hi and Thanks for listening to episode 47 of the Welding Tips and Tricks Podcast! For this episode Jonathan and Roy had just finished teaching the first day of the Tig Welding Class at Saunders Machine Works in Zanesville, Ohio. Link below to sign up and for more information We wanted to talk about how the class was going and really focus on the concept of Learning How to Learn. We also talked about some of the other things we have coming up and what's going on in our worlds. So be sure to download, pop those ear buds in, hit play, drop your hood, and Enjoy!